Atlantic Healthcare specialise in the acquisition and commercialisation of drugs in the pharma sector. Atlantic Healthcare specialises in the acquisition and commercialisation of drugs meeting unmet medical needs of patients managed in the hospital and specialist care environments in Europe and United States, that fall below a commercial threshold of ‘big pharma’. This sector of the healthcare market continues to grow and is one in which the Management Team of Atlantic Healthcare has significant international experience having successfully launched and acquired more than 40 drugs. 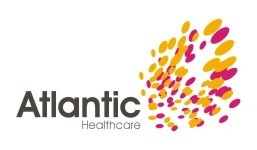 Atlantic Healthcare appointed Mark Donaldson as their Chief Financial Officer in May 2011, initially providing regular management accounts and gaining an understanding of the business model, leading on to the production and management of detailed cashflow forecasts. More recently James Carter has redesigned the monthly MI Board pack so as to make full use of available technology so as to speed up the production process & ensure consistency. Atlantic Healthcare has raised £4.3m of investment to date to progress and prepare its first product; alicaforsen, which is a unique drug used to treat Inflammatory Bowel Disease (IBD) for full commercialisation. With growing revenues, the Company has recently announced its plans to raise £500k of expansion capital to take the product into profitability in the second half of 2012. Mark Donaldson is assisting the company with this through a series of events and profile raising exercises. Mark has assisted with the development of investment material and presentations and is presenting and pitching to potential investors. Toby Wilson Waterworth, founder and CEO of Atlantic Healthcare said “I am delighted to have Mark and his team on board and the flexible approach and working arrangement which Mint provides, suits the organisation’s size and structure well”.